Are you completely satisfied with the appearance of your smile? If you are like most adults, the answer is no. Your teeth may be chipped, cracked, or broken from trauma or everyday wear. Or maybe you inherited uneven, misshapen, or slightly crooked teeth. Whatever the cause of your less-than-perfect smile, we have good news. Dr. David Weinman can correct these problems with porcelain veneers in Westfield, NJ. Porcelain veneers work by simply covering up damage and imperfections. They’re reserved for making cosmetic improvements to healthy teeth. With this treatment, a thin layer of white, natural-looking porcelain is affixed to the surface of the damaged tooth. Dr. Weinman may apply veneers to make teeth appear straighter, seem more aligned, or look more even. Veneers can also close gaps between teeth and cover chipped or broken teeth. Bleach-resistant stains that haven’t responded to previous whitening treatments are also erased with veneers. Dr. Weinman applies porcelain veneers in two to three visits to our office. In the first, your veneer treatment plan is created. Feel free to bring photos of smiles you admire into this appointment to help your dentist understand what you’re looking for. Once your treatment plan is in place, Dr. Weinman removes a slight bit of enamel from the surface of each tooth to make room for the veneers. Then a series of impressions will be made for the manufacture of your veneers. You’ll wear temporaries in the time between appointments. Take special care with these veneers – they weren’t made to last forever, and eating hard, crunchy, or sticky foods can cause them to break or come off. After one to two weeks, your veneers will be ready and you’ll revisit our office for their final placement. Dental veneers are highly customizable to help you achieve the precise results you are hoping for. They look so natural and beautiful that no one will be able to tell you have had anything done – all they will see is your stunning smile. And one of the best things about veneers? Porcelain is highly resistant to stains from coffee, red wine, and other factors that cause your teeth to become discolored. Even professional teeth whitening fades after a year or so. But your porcelain veneers will stay the same beautiful shade of white for years after their application. When multiple imperfections affect the smile, dental veneers fix the issues in a single treatment. That means choosing veneers can save you time and repeated visits to the dentist’s office. Veneers are a long-lasting cosmetic solution. When cared for properly, they can stay healthy and whole for a decade or more. Protect your veneers with a custom-fit mouthguard if you play sports or grind your teeth at night. Gum disease causes the gum tissue to pull away from the teeth, which will negatively affect the appearance of your veneers. Continue to brush and floss teeth and see your dentist for regularly scheduled appointments to keep your smile as healthy as can be. 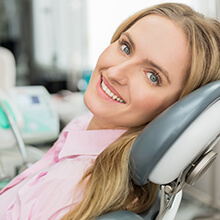 You’re interested in improving your smile with dental veneers, and you want to know one thing – is the procedure right for you? Most people who wish to transform the teeth that show when they smile are good candidates for the treatment. Remember that veneers should only be applied on healthy teeth. 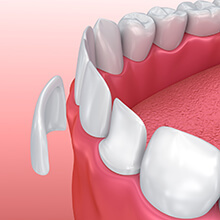 Worn, decayed, or otherwise functionally flawed teeth may be better served by a dental crown. Dr. Weinman can help you determine which is best for your smile. Do you still find yourself having questions or concerns about just what the porcelain veneers process will entail? There are unfortunately several misconceptions floating around regarding this attractive and long-lasting procedure, and Dr. Weinman would be happy to clear some of them up for you. Our goal is to help match patients with the cosmetic transformation of their dreams! 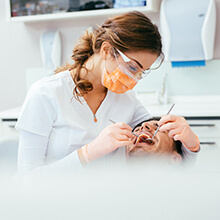 Your dentist in Westfield offers expert care with a gentle touch. 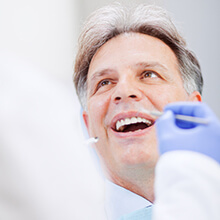 Are you ready to experience excellent, personalized dentistry? Then schedule your consultation with Dr. David Weinman by calling our Westfield, NJ dental office. Our team warmly welcomes patients from Scotch Plains, Fanwood, Cranford, Mountainside and surrounding areas. We look forward to making you smile!